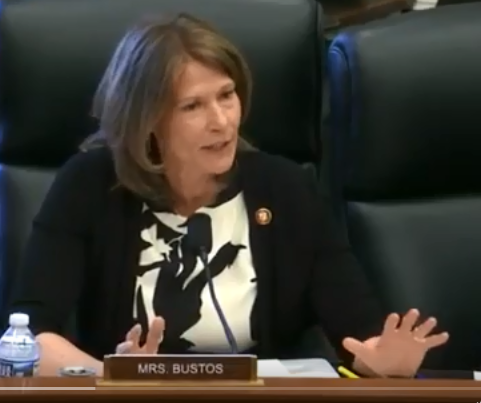 WASHINGTON – Yesterday in a House Appropriations subcommittee hearing to review the president’s FY2020 Budget Request for the Department of Labor, Congresswoman Cheri Bustos (IL-17) stood up for workers’ rights and safety to Secretary of Labor Alexander Acosta. Specifically, Congresswoman Bustos focused on Secretary Acosta’s priorities related to the budgets for both the Occupational Safety and Health Administration, as well as the Office of Labor-Management Standards. Congresswoman Bustos asked why the Department of Labor has cut funding for worker safety, while at the same time increasing funding to investigate labor unions and flat-lining funding to workforce development programs. The Occupational Safety and Health Administration is responsible for overseeing worksite safety and enforcement. Earlier this year, the Trump Administration rolled back the Improve Tracking of Workplace Injuries and Illnesses rule that required most employers to submit reports of all workplace injuries to the Department of Labor electronically each year. Striking this rule weakens protections for workers by limiting the ability to track data on how many workers are injured on the job and how they occurred. On the other hand, the Office of Labor-Management Standards is responsible for auditing and investigating unions and has received an increase in funding.